Pol Roger has unearthed bottles of Champagne from the nineteenth century which have been buried beneath its facilities in Epernay for the past 118 years. According to a story published by L’Union on Friday, the cellar master of Pol Roger, Dominique Petit, has discovered 22 in-tact bottles of Champagne believed to be from the 1898 vintage in a sealed-off cellar. The discovery is significant: Pol Roger has pondered whether there might be bottles from the nineteenth century buried beneath its facilities for many decades, and, using sonar technology, had recently detected a cavity beneath its site on the Avenue de Champagne in Epernay. Now, having dug underground, it has been confirmed that there is a stash of historic Champagne beneath Pol Roger’s current headquarters. 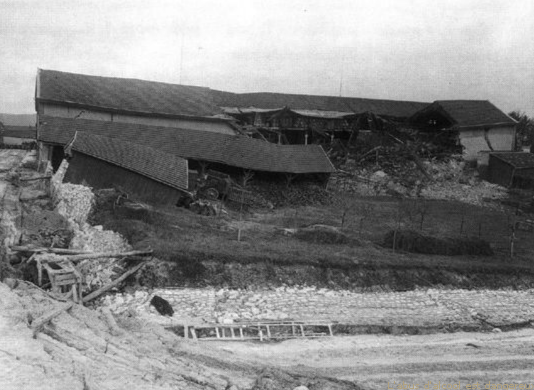 It was trapped there in February 1900, when, after heavy rains in Champagne, Pol Roger’s cellar on the Avenue de Champagne in Epernay caved in, bringing down both levels of its facility, and destroying as well as burying the equivalent of two million bottles of Champagne – barrels of wine were lost as well as bottles. As reported last week by the drinks business, Pol Roger had decided this year to investigate the possible presence of trapped Champagne that would predate the disaster in 1900, because it wants to build a new packing facility above the historic site of the cellars. Speaking to the drinks business in Champagne last month, Laurent d’Harcourt, president of the house, said he was quietly confident that they will find something of value. “We don’t want to build anything [on the site] before making sure [that there isn’t buried Champagne beneath], and we have started to investigate already, and we think we might find something,” he told db earlier this month. “It has been part of the daily dreams, or nightmares, of Pol Roger for some time,” he added. Not only has the house discovered some unbroken bottles, but it is also believed they are potable, with the corks still in tact. Although the exact date of the Champagnes has yet to be confirmed, it is believed the bottles are from the 1898 vintage. It is also thought that more nineteenth century Champagne may be lurking beneath the ground level, but, before Pol Roger investigates further, it must secure the walls and ceiling of the existing cellar, which has been sealed off since the collapse exactly 118 years ago.